Lieberman & Parikh Facial Plastic Surgery and Center for Hair Restoration has seen a dramatic rise in tech employees wanting a hair transplant to boost confidence. –PALO ALTO, CA — Sept. 7, 2016 – Drs. 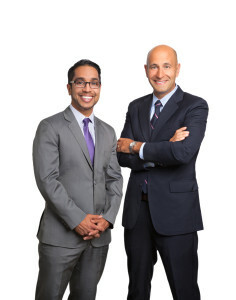 David Lieberman & Sachin Parikh, Bay Area leaders of NeoGraft™ hair transplant and facial rejuvenation, have seen a recent increase in the number of tech workers coming to their practice for a boost of self-confidence through a hair transplant. A hair transplant with the NeoGraft™ Automated Hair Transplantation system allows Drs. Lieberman and Parikh to harvest a patient’s own hair from the back of their head and transplant individual follicles into areas of thinning hair. The results from this procedure, known as Follicular Unit Extraction (FUE), are very natural because the patients’ own hair follicles are used, and unlike the previous hair transplant method, Follicular Unit Transplant (FUT), no incisions or stitches are necessary. Natural-results with a quick recovery is what appealed to this patient who wanted to look his best, and have the most confidence before entering a season with multiple investor meetings. “When you go into these investor meetings with big companies you analyze everything to help you make the sell. You want the highest degree of self confidence possible, so I wanted to take care of what I didn’t like, which were the thinning spots of hair,” he said. Real patient during follicular unit extraction, (FUE). Results may vary. At first, the patient admits that he was skeptical of the FUE hair transplant because he didn’t know if the technology would really work, but after Drs. Lieberman and Parikh showed him the before and after photos of patients they had previously treated, the patient was convinced to give it a try. Drs. Parikh and Lieberman say that this patient is not alone. Since launching a content-rich website dedicated to NeoGraft hair transplant – forthehair.com – three months ago, the practice has since seen a dramatic increase in the number of young tech workers coming to their practice for hair transplant consultations. It is too early to see any results of the patients recent hair transplant, but his first investor meeting was five days after his hair transplant and by that time there were no visible signs that he had anything done. Drs. Lieberman and Parikh expect to see more tech workers, like him, looking to have a fuller head of hair to boost confidence as the tech industry continues to boom. Next Next post: How Long Will My Hair Transplant Last?